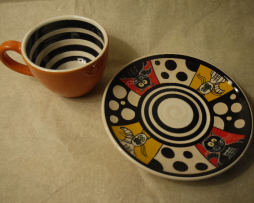 Tea cup with striped interior decoration and decorated saucer. 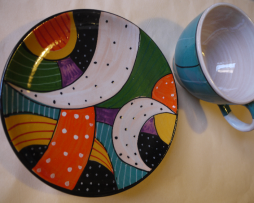 Tea cup and plate with rows decorations. 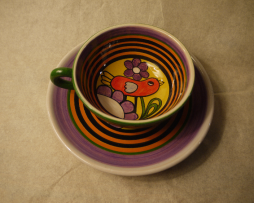 TeacCup with plain decoration and decorated saucer.